During the short taxi ride from Gdansk Lech Walesa Airport into town, you wonder if this trip turns out to be a mistake. But don’t worry! 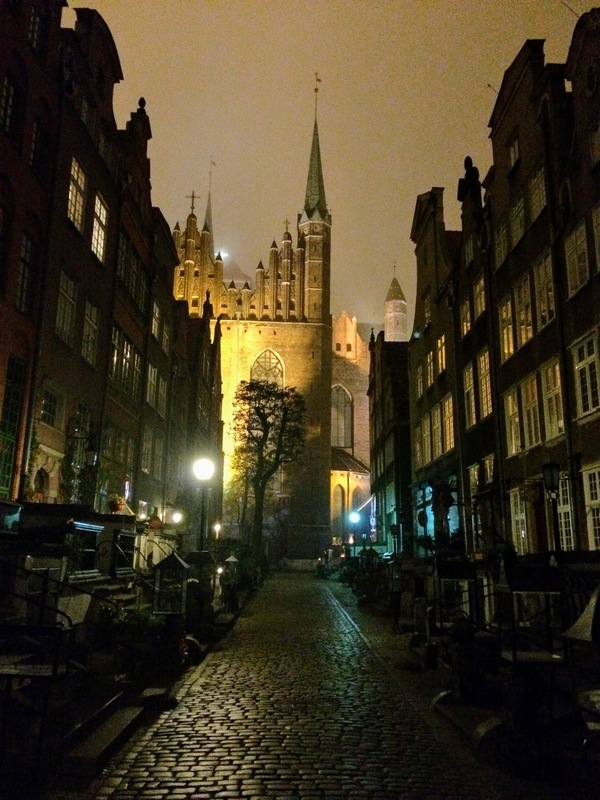 At first glance, Gdansk seems grey, worn out and tired. What meets you on this 12 km taxi ride is concrete residential areas, sad industrial constructions and fuming factory chimneys. But when you first get into town these images are swept away in an instant. 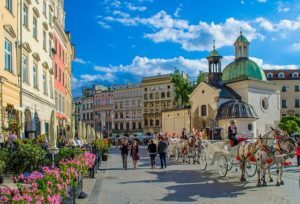 In the majestic beautiful buildings along the banks of the Wisla River, you will find small shops that sell amber jewellery and lots of nice restaurants. 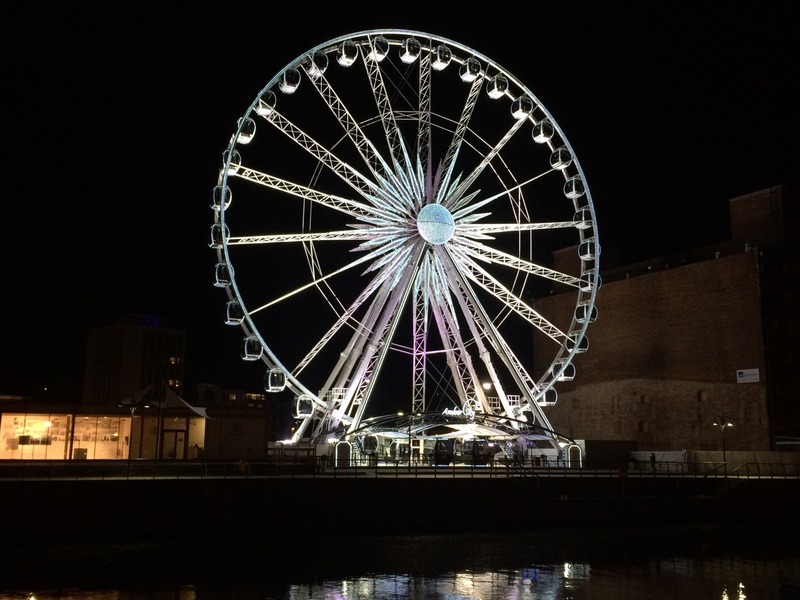 From here you also have unobstructed views of the big Ferris wheel on the other side of the river. 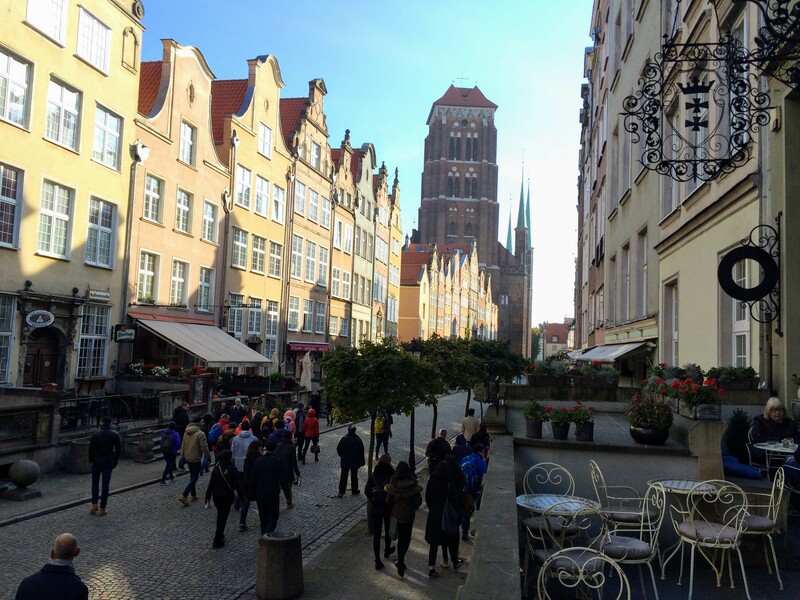 A trip in the wheel gives you an incomparable view over the old part of Gdansk..
Gdansk is a surprisingly nice acquaintance. 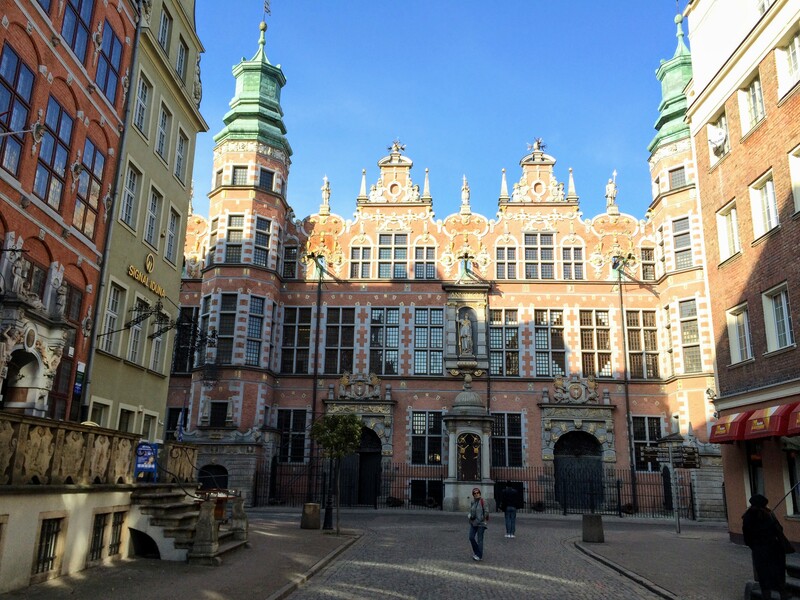 A beautiful old Hanseatic town with a long and sometimes a little too exciting history. 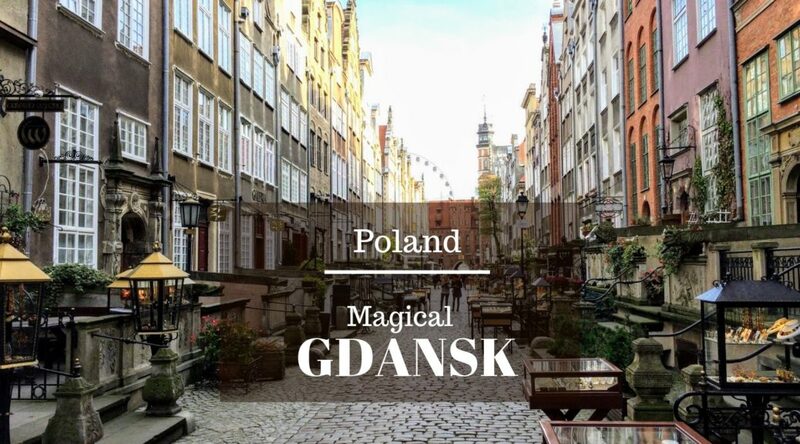 Through its almost 1000-year long history, Gdansk has been under German, Polish and Lithuanian rule. 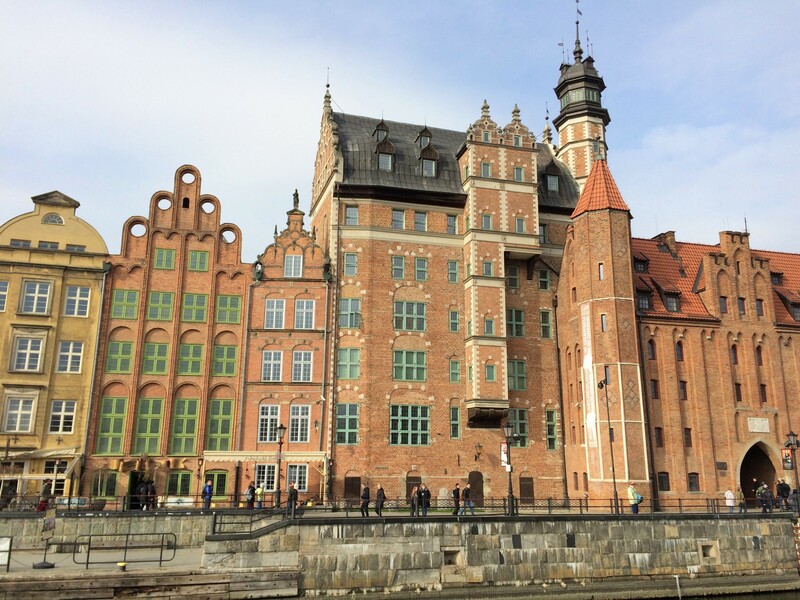 In 1944 Gdansk was conquered by The Red Army and after World War ll given back to Poland. More than 100,000 of the city’s inhabitants perished during the war and the city itself was literally destroyed. In The 50s and 60s, the city was rebuilt and stands today largely in former glory. Is this Diagon Alley from Harry Potter? 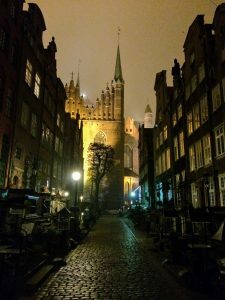 We first entered The old town of Gdansk at sunset and right away we were blown away by its beauty. We strolled through a Gothic archway into Mariacka street and got the feeling of being part of a Harry Potter movie. In this street, we wouldn’t be surprised finding Goblins, Dementors, Werewolves or maybe Hedwig would come diving out of the skies. And when we turned the corner we were sure to find Diagon Alley. 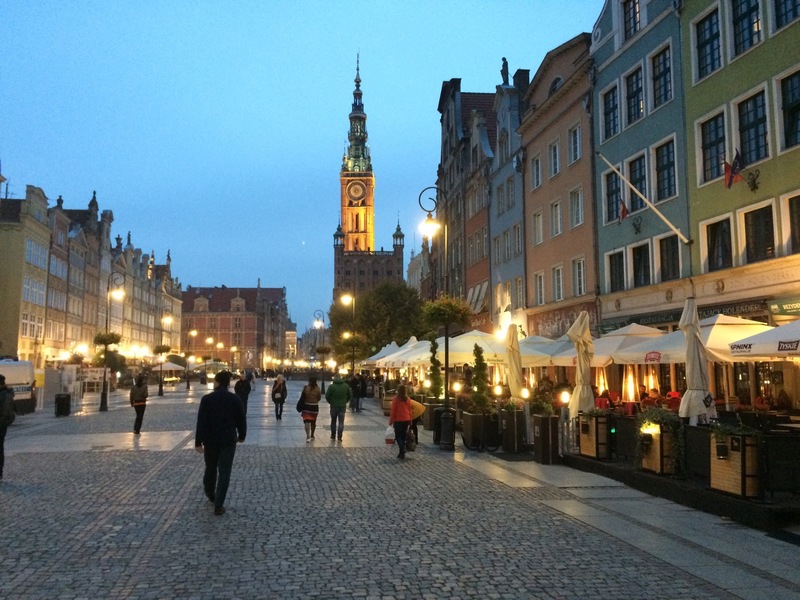 Mariacka Street by night is both breathtaking and a bit scary. J.K. Rowling’s Harry Potter stories could have taken place here. The quality of the picture is not good, but we just HAVE TO show you this!! J.K Rowling must have been inspired by Mariacka street when she first started writing about Harry’s world. The old burgher houses flanking the cobblestoned narrow street are impressive and it’s hard to believe that most of them are reconstructed after World War ll. We had a feeling of history peeking out of every little crack. And in Mariacka street you are well guarded by numerous gargoyles watching out for you from the top of the houses. At the very end of Mariacka street, you will find Europe’s biggest brick built church, Bazylika Mariacka. 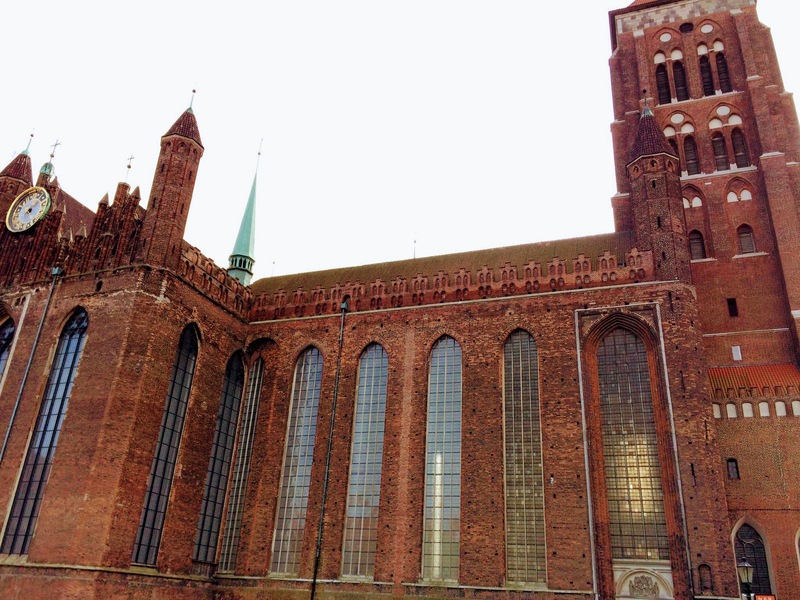 This massive church impresses you with its size and you will see its towers from far away. 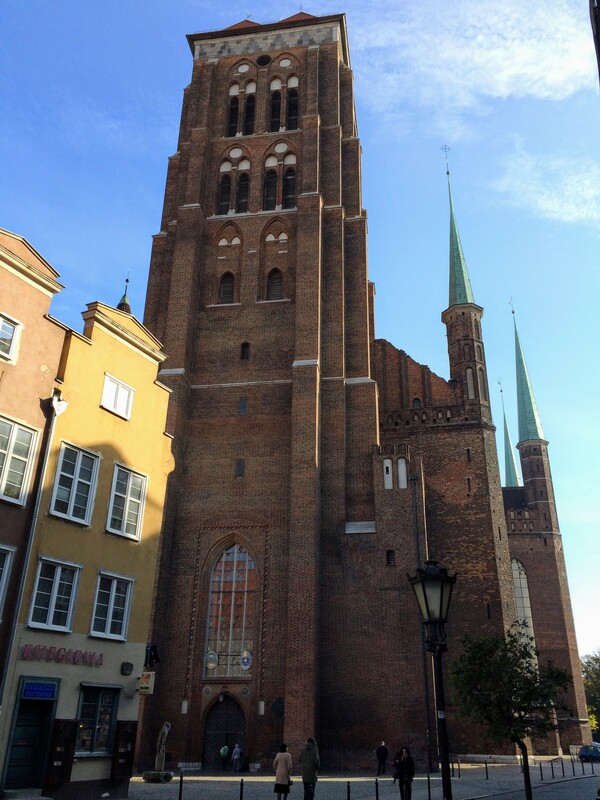 The towers of Bazylika Mariacka can be seen from most of the old town. The main square or rather the main pedestrian street, Dlugi Targ or Long Market is certainly worth a visit. In former days it was here, you as doomed, had the privilege to get beheaded if you belonged to the bourgeoisie, the poor were beheaded out of town. Nowadays daily life isn’t as bloody. Instead, you will find lots of outdoor cafes, good restaurants, musicians and artists making a living here. 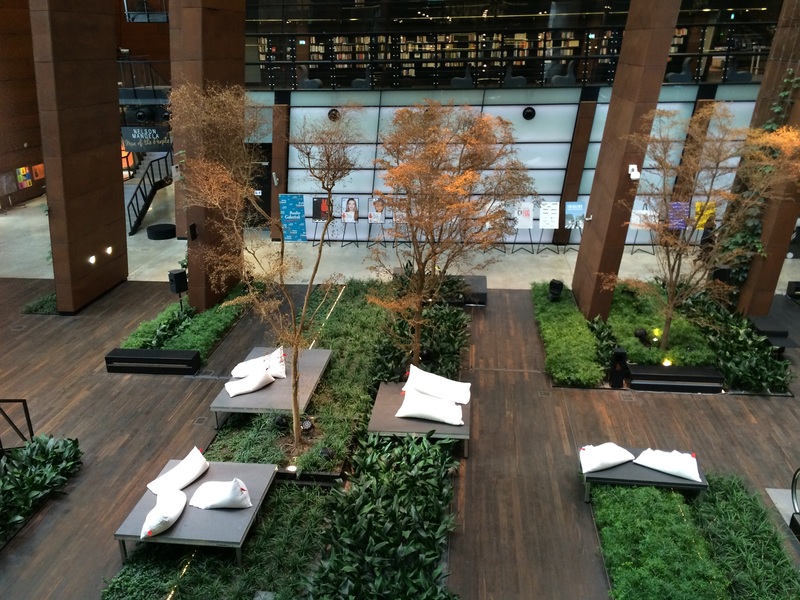 We loved the beauty and atmosphere of this grand square. 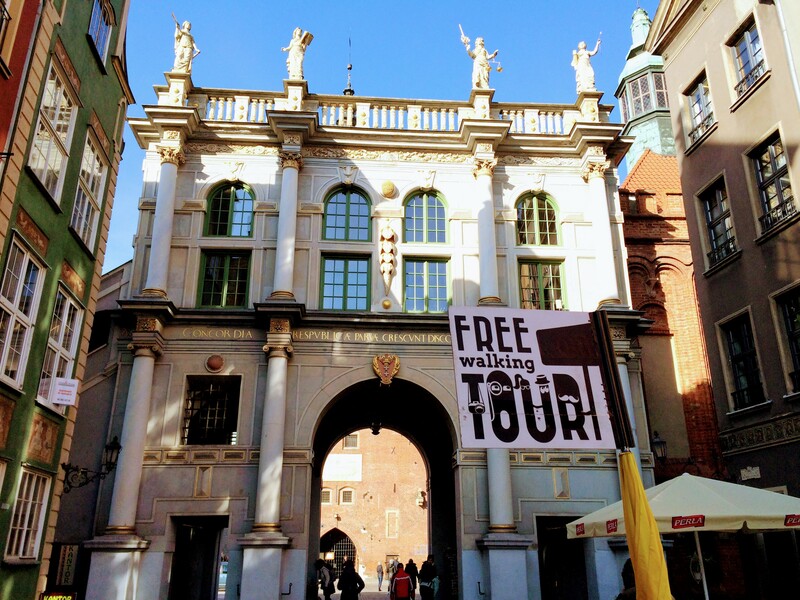 At the end of the main pedestrian street, Dlugi Targ, you will find Golden Gate, which is the meeting point, if you want to take a free guided tour. 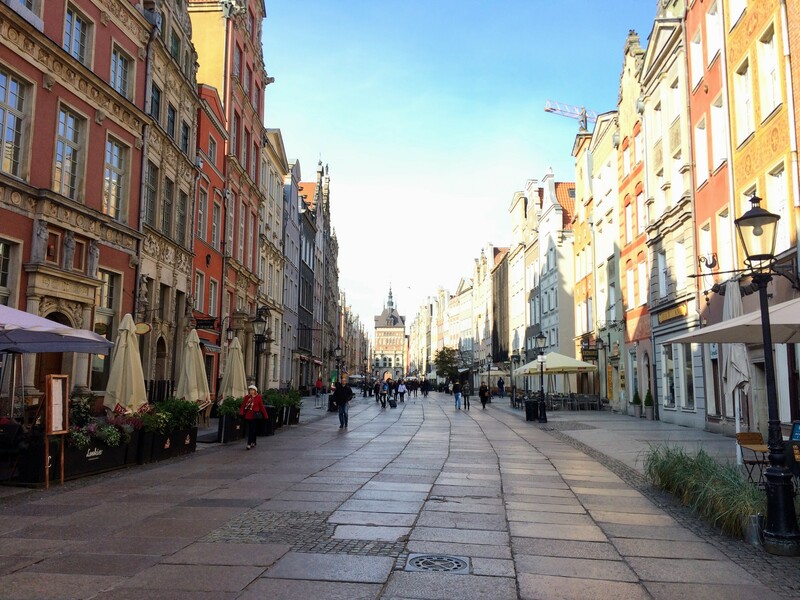 After strolling through the charming old town you might be in the need of a rest. We recommend a boat trip on the Wisla River. 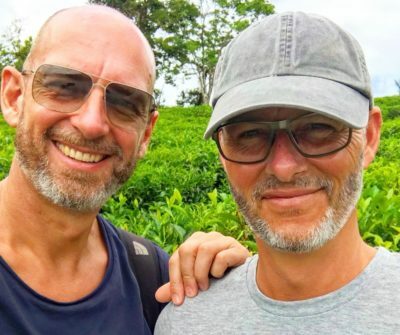 Nothing relaxes you more than a tranquil boat ride and a large polish beer, which by the way is very good or maybe a cup of hot mulled wine like we got. Numerous of boat companies will take you to Westerplatte where the first World War ll battle took place. On a boat trip on Wisla to Westerplatte, you will pass through the enormous industrial area with shipyards, cranes etc. Different, but quite impressive. 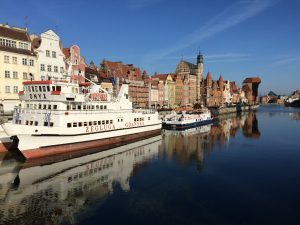 One of the things that surprised us the most about Gdansk was certainly the restaurant scene and our prejudices about the Polish cuisine being all about cabbage and potatoes were proved wrong. There is a large amount of really good restaurants in the city. Our top pick has to be Literacka. They serve a roasted halibut fillet to die for and this little restaurant oozes of atmosphere. Try to get a table at ground level. If you fancy a delicious cocktail and maybe some live music you will feel very well at extremely cosy Monbalzac. 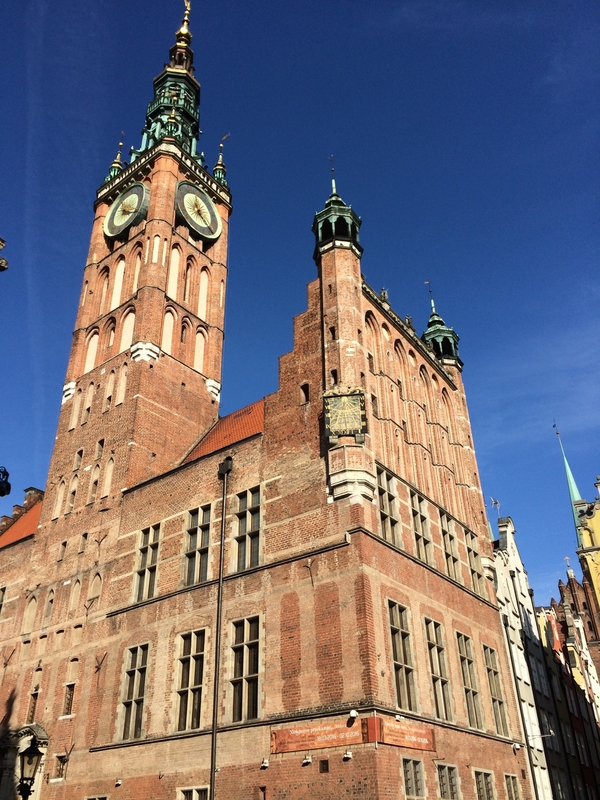 The price level is generally low in Gdansk and you get much for your zlotys. In front of the entrance of the former Lenin Shipyard, where workers fought against the communist regime. A historical place, known from the news on television in the early 80’s. 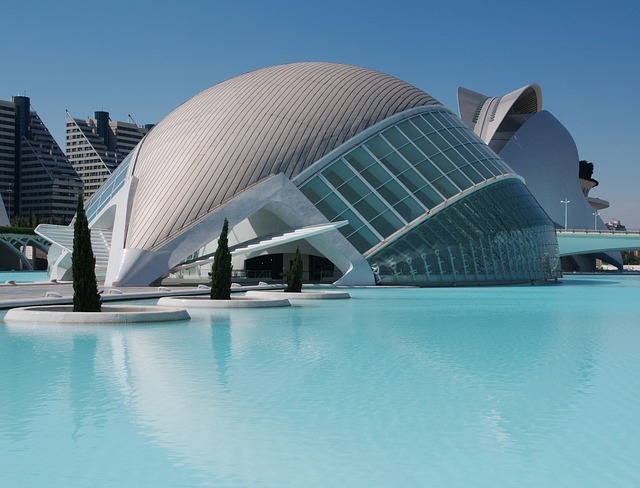 In 2016 this excellent museum was awarded ” The Council of European Museum Price “. The museum is fascinating and we had a great experience. 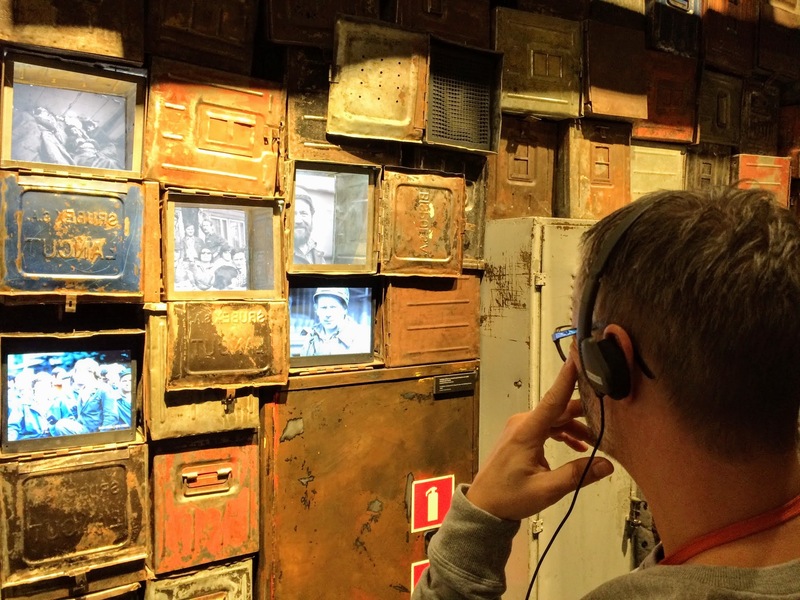 It is essential to use the centre’s audio guide to get the most out of your visit. 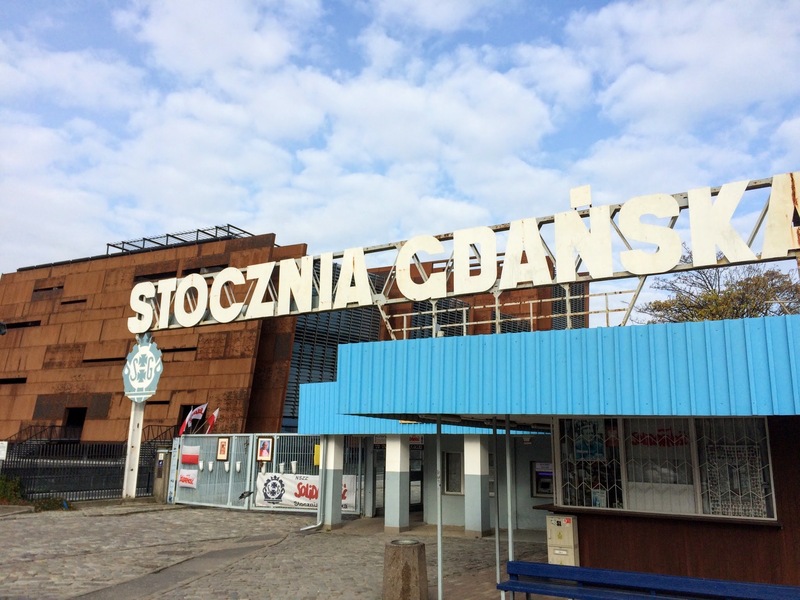 The centre is established on the grounds of the former Lenin Shipyard where “Solidarity” was founded back in 1980 under the leadership of Lech Walesa. 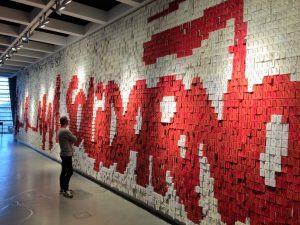 “Solidarity” was the name of the independent polish union. Their name and “logo” was well known worldwide during and after the strikes. Here at the museum you really do feel the presence of history. The centre takes you back to those severe events that changed the world forever. 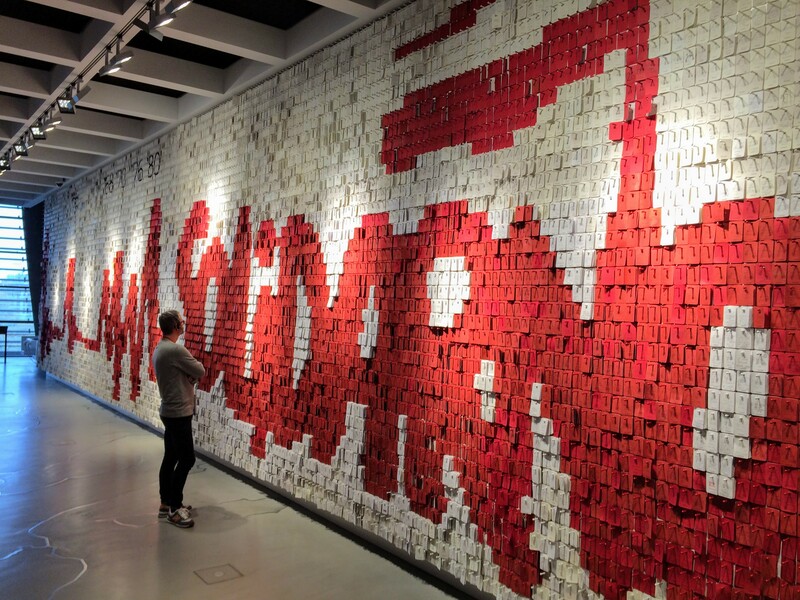 This thought-provoking wall is created by red and white paper posts, and as a guest, you are welcome to write a wish or thought, and contribute to this wall of thoughts. This wall made us feel humble and thoughtful. Thanks for the update, can I set it up so I receive an email sent to me every time there is a new article?